Evolved from the hugely successful and capable Exige Sport 380, this latest Lotus supercar is the purest manifestation yet of the company’s Cup concept for sports cars. Genuinely eligible for competition yet undeniably elegant, just 60 editions of this extreme Exige are planned for worldwide markets – assuring its status as one of Lotus’ most collectable road cars. At the heart of the new Exige Cup 380 lies a concept from the core of one of Lotus’ founding principles. With an unrivaled lineage, the new thoroughbred Lotus Exige Cup 380 is endowed with race car sensibilities and road car manners. Honing the Exige Cup 380’s high speed abilities was paramount in its development, and the inclusion of new wind tunnel developed aerodynamic elements allow this road-going Exige to deliver up to 200 kg of aerodynamic downforce at a top speed of 175 mph. Located over the wheels, the front louvers equalise the pressure differential within the wheel arches, increasing downforce at high speed and under hard braking, whilst the cut-out sections behind the rear wheels work with the aero blades mounted either side of the race diffuser. 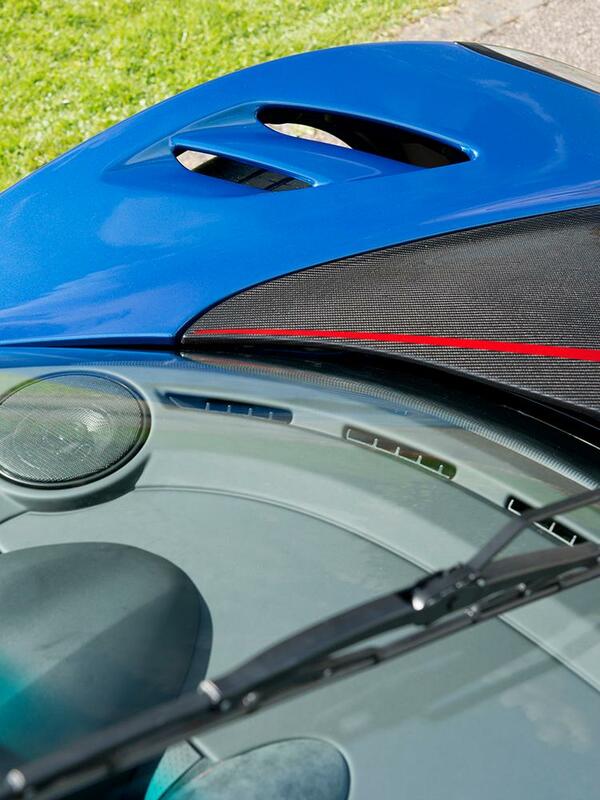 Even the Exige’s windscreen wiper has been aero tuned – now resting in a vertical position to avoid disrupting air flow. To harness the huge hike in downforce, and provide increased mechanical grip, wider 285/30 ZR18 rear tyres are required – a step up from the 265/35 ZR18 as fitted to the Sport 380. With the two elements working in combination, this huge boost in grip allows the car to corner harder and faster which, given with the Exige’s existing reputation as a driver’s car, elevates it to a whole new level. Inside the Exige Cup 380, the carbon continues with visible-weave, handmade sections including beautifully detailed carbon race seats and door sills as standard. Cumulatively these composites contribute to the Exige Cup 380’s low weight, but every part of the car has been considered, even down to the removal of the boot carpet, to reduce mass. Optional carbon fibre components include one-piece inner door panels, HVAC console and face-level vent surrounds, which together offer an additional 1 kg reduction over the standard car. In addition to the Exige’s strong, stiff and durable aluminium chassis architecture, the Cup 380 comes with a T45 steel roll over bar as standard. Tremendously strong, yet light compared to alternatives, its cost means that it’s only used in the highest of motorsport applications. Other racing additions include a towing eye at the front and a fabric tow strap at the rear. Extremely quick off the line, the Exige Cup 380 laps the Hethel track in 1 minute 26 seconds – a record for a road-legal Exige. Packing the same 3.5-litre supercharged V6 engine as the Exige Race 380, the new Exige Cup 380 boasts 375 hp at 6,700 rpm and 410 Nm (302 lbft) of torque at 5,000 rpm. Available as standard with a close-ratio, six-speed manual transmission, the Exige range features Lotus’ now famous open-gate manual gearbox design. There are four user selectable ESP modes (Drive, Sport, Race and Off). Sport, Race and Off increase throttle response, lower traction slip thresholds and remove understeer recognition to provide a finer degree of driver control before intervention and utilises an engine exhaust bypass valve which reduces exhaust back pressure at higher engine speeds. In a new development, the Lotus Exige Cup 380 includes a variable traction control function which is linked directly to the ECU and allows the amount of wheel slip to be set by the driver. The six-position rotary switch is located on the steering column and is only available with ESP switched off, with the percentage of target wheel slip from 1% to 12% in five settings and “off”, displayed via the instrument cluster. The Exige has long been regarded as delivering benchmark handling, but owners of the Exige Cup 380 can configure the set-up, thanks to the Nitron two-way adjustable dampers and Eibach adjustable front and rear anti-roll bars fitted as standard. The substantial Michelin Pilot Sport Cup 2 tyres (285/30 ZR18 rear and 215/45 ZR17 front) are fitted to ultra-lightweight forged alloy wheels, available in red, black or silver as standard. Stopping power is provided by AP Racing forged, four-piston brake calipers and grooved performance two-piece brake discs. The optional full exhaust system in titanium removes 10 kg from beyond the rear axle, and buyers can specify a number of additions and deletions, including FIA compliant roll cage, full race harness, electrical cut-off and fire extinguisher controls as well as airbag deletion and a non-airbag steering wheel. 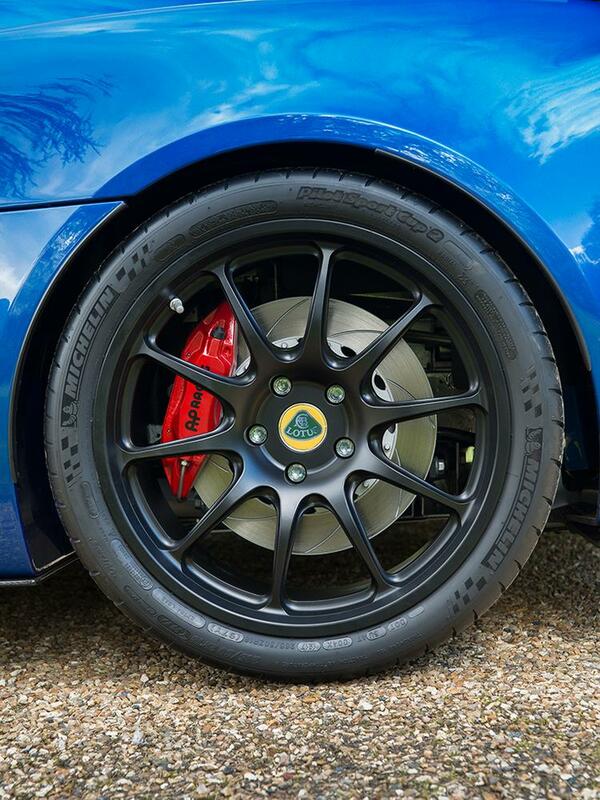 Despite its pure performance credentials, the new Lotus Cup 380 retains its dramatic aesthetic thanks to the high-gloss, visible-weave carbon fibre, but complementing this are a range of five hand finished paint options, including Essex Blue, Metallic White, Metallic Silver, Metallic Grey and Metallic Black. 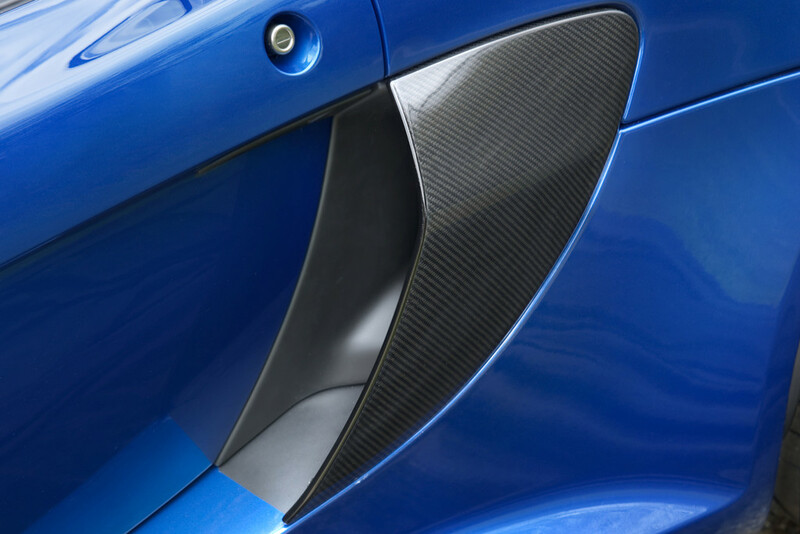 Further accentuating its shape, a unique red highlight line defines the Exige’s front access panel, while key details, including the front canard wings, are finished in matt black. Coordinating wheels, spoiler uprights and mirror caps in red, silver or black contrast with the main paint colour, and the whole car is finished with unique Cup 380 badging. The hand finished nature of the Exige Cup 380 continues inside, with Lotus’ carbon fibre sports seats trimmed in Alcantara®, with leather or tartan as a no cost option, with contrast stitching and an Alcantara® steering wheel. As standard, lightweight carbon fibre sill covers reduce the weight by 0.9 kg and provide easier ingress and egress by up to 10 mm, thanks to their lower profile and contoured finish. The Exige Cup 380’s instrument panel has also received attention, with new graphics making it easier to read. For owners wanting more, the new Exige Cup 380 can be personalised through the increasingly popular Lotus Exclusive programme. Combining traditional British craftsmanship with modern design, the service inspires customers to spend time tailoring the character of their Lotus with a comprehensive array of options. Since its introduction this has proved increasingly popular, with 25% of all new cars undergoing some form of personalisation.